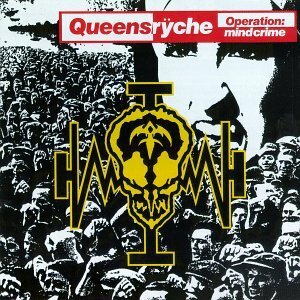 Operation: Mindcrime is a concept album by American progressive metal band Queensrÿche. Released on May 3, 1988, it is the band's third full-length album. A rock opera, its story follows a man who becomes disillusioned with the society of the time and reluctantly becomes involved with a revolutionary group as an assassin of political leaders. The album is highly regarded within the heavy metal community, often labelled as one of the genre's finest works. It ranked at number 10 at metal-rules.com's best heavy metal albums ever. In January 1989, it ranked #34 on Kerrang! magazine's "100 Greatest Heavy Metal Albums Of All Time."